Looking for Package Deals to Maui? We have those too! Playing Golf in Heaven! In 1999, Golf Digest named Hawaii “The Best State for Golf.” Nothing has changed since. Start with the weather. 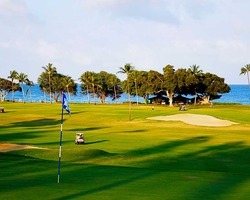 In Maui there truly is only one season - and it's the perfect season for golf. Next, the terrain. Indescribable settings. Epic views. Rich volcanic soil. Incredible variet. 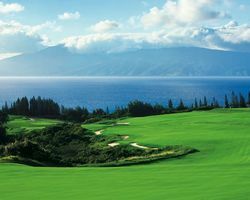 Maui courses are known for their breathtaking scenery and vistas, their fast-breaking Bermuda greens and, of course, their famous trade winds, which can turn even the most benign course into a true challenge and test of one's golfing prowess.